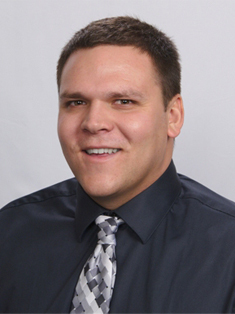 James Jeromchek is a second generation REALTOR® who has passion for the industry and an education to fill the needs of his clients. James has been in the real estate business since 2012. He is a graduate from the University of North Dakota with a Bachelor’s in Management & Marketing and an MBA. He worked various jobs after college such as an Intramural Coordinator at the University of North Dakota, in the finance industry and a Conductor for the railroad. After living in Lincoln, Nebraska for a while, James and his wife, Alicia, decided to move back home to Mandan. James has two children Sophie and James. James Jeromchek and Jim Jeromchek are partners in Real Estate. They bring the experience, fresh ideas and new perspectives. Together they make a great Real Estate Team. If you’re looking to buy or sell a home don’t hesitate to contact them today.